BBI: Take Your Marriage Back By Power. “So shall my Word be that goes out of my mouth: it shall accomplish that which I please and it shall prosper in that which I sent it. “Behold I am the LORD, the God of all flesh: is there anything too hard for me?" The troop against you are those who have taken your husband and disturbed your marriage whether they be the evil spirits, the strange woman, family, inlaws, spells or generational curses. Today I have great news for all of us. The BBI Level 4 will kick off from Wednesday, February 21, 2018 to Tuesday, March 13, 2018. It will be for 21 days and nights. If you do not know what the BBI is all about, please go here and read. This is your time to turn things the way you desire them. This is because God has already released the grace and power to help you. The prayers are ready to be engaged. Are you ready to see the power of prayers work in your husband and marriage? 1. Prayer Self Purification, Sanctification And Mercy. 2. Prayer To Change The Heart And Ways of Husband. 3. Prayer Against the Strange Woman Affair. 4. Prayer For Love And Commitment To Your Marriage. 5. Prayer Against the Spirit of Divorce! These prayers were given me from January 19th to February 6th, 2018. I have been praying them in intercession since then. Now I have released them so that we can engage them intensely and receive testimonies of them. 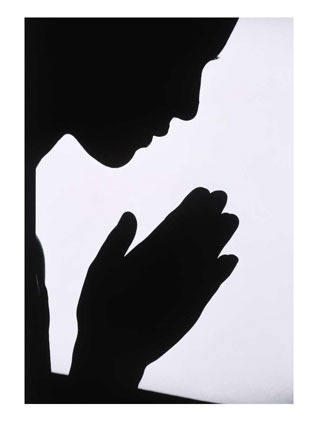 Through the 21 days of BBI Level 4, at least three prayer warriors will be praying every hour 24/7. I usually arrange our team in ‘shifts’ so that they take turns to call for mercy and grace for all of you. This intercession is continuous. But I will be praying without break, except when I am exhausted and need to rest. My own prayers are a different level because I will be praying directly for you as individuals, mentioning your names, your husband names and your cases. The prayer team members do not have your personal details. We are leaving no stone unturned. That’s why I know that your time has come. So, that leaves you to prepare to complete the prayer chain. Something wonderful is about to happen to you! How do you participate for a good outcome? First, let me tell you a short story from the Bible. The enemies of Israel, the Amalekites, invaded southern Israel and the city of Ziklag. They destroyed the city and took many residents captive. David was King at the time. The people were so distressed and infuriated that they wanted to execute David their King. His offense was that he couldn’t defend them and couldn’t stop their enemies from taking their loved ones and family away. But David turned to God because there was need to recover their loved ones and families. ...David inquired from the LORD, saying, Shall I pursue after this troop? Shall I overtake them? And He answered him, Pursue: for you shall surely overtake them, and surely recover all. Actually, this story was given to me to tell you. That enquiry was made for you from here. That answer is your answer. The only difference is that you will not be pursuing that troop in the physical. You will pursue in the spirit… by your prayers. Especially with this BBI prayers. The troop against you are those who have taken your husband and disturbed your marriage whether they be the evil spirits, the strange woman, family or inlaws, spells and generational curses. But you will overtake (overcome) them and recover your husband and marriage both in the spirit and in the physical. I will show you how to get ready. "Keep your heart with all diligence; for out of it are the issues of life. You need to believe God completely because He is able to change your story and fulfill your expectations for your marriage. Come Into BBI With Your Faith. You need enter the BBI with your heart ready. That is, believe that God can change the story of your marriage this time. Be determined to pray intensely according to the instructions in the BBI Letter. If you join the BBI, you will have to suspend any approved prayers you are doing now until the end of BBI. This is important, please. God is ever faithful. He has changed hundreds of husbands of many women through the BBI. Your own is not hard for God to change. Enter BBI With Worthy Seed-Faith Sacrifice. The second preparation you make is on your sacrifice. The sacrifice and the prayers are the same. Their revelation came same time. They are not to be separated. Therefore, you access the BBI Letter by sacrifice. Even if you get the BBI Letter without sacrifice, and you do not send a sacrifice, you have rejected the spirit of the BBI prayers. So, you are not in tune with whatever prayers we are doing here for the rest of the participants. Now, please understand that you are not buying the BBI Letter nor the prayers. The BBI Letter is not for sale, at least not at this time. It is free. But you will find that there is a base amount of $20 at access point of the BBI Letter. That amount is the admin and delivery cover. It is not the sacrifice! Your sacrifice would be any amount above that base amount. Your sacrifice is your decision to make. However, I suggest it should be something that expresses the value of the return of your husband and the restoration of your marriage. But that sacrifice should be what you can afford. I believe you are ready to dive into the BBI. So, let's go. Go to this page here. Click the 'Add to Cart' Button somewhere in the middle of the page and follow the instructions. If you need me for anything, I will be available through the email.